My goal is to create great value for people just like you as they navigate the transition into retirement and help ensure that it is a successful one. This means not only providing services such as the Exiting the Workforce and Find Your Purpose in Retirement sessions, but also free, practical and readily accessible resources. After something short and sweet, perhaps some simple ideas you can put into practice right now? Why not grab a couple of tip sheets? Just click on the links below and they are yours! Would you like to start some planning for your circumstances in your own time? Download the three great resources below! The road to retirement can be a little bumpy, so rest assured if you are feeling a little lost and overwhelmed - you’re not alone. BUT, there are things you can do to smooth the way and create a retirement that you are excited to grasp with both hands! Want to know how? Why not join me for my Bite Sized Retirement Transition Video Series! These six videos are practical, action-focused, and most importantly short & sweet. They are all only 3 minutes long because whilst planning is important, I know that you’ve got life to get on with! Sign up using the link below and the first video will be on its way to your inbox! Want something to listen to in the car or on the way to work? Did you know that Megan has been interviewed on a number of podcasts and you can listen to them anytime from a smart device. You can find them below. Megan is interviewed by Deanna Fenton of The Reinvention Revolution and in this episode they discuss: the differences between men and women in contemplating retirement, the generational and cultural changes impacting Baby Boomers, women starting businesses in retirement, and tips for women embarking on an entrepreneurial journey! Don't simply retire from work, have something to retire to! 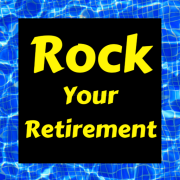 Click on the button below to be taken to the podcast episode where Megan is interviewed by Kathe Kline of Rock Your Retirement. They discuss how it is never too late to make changes and create a greater sense of satisfaction and enjoyment in life after work!